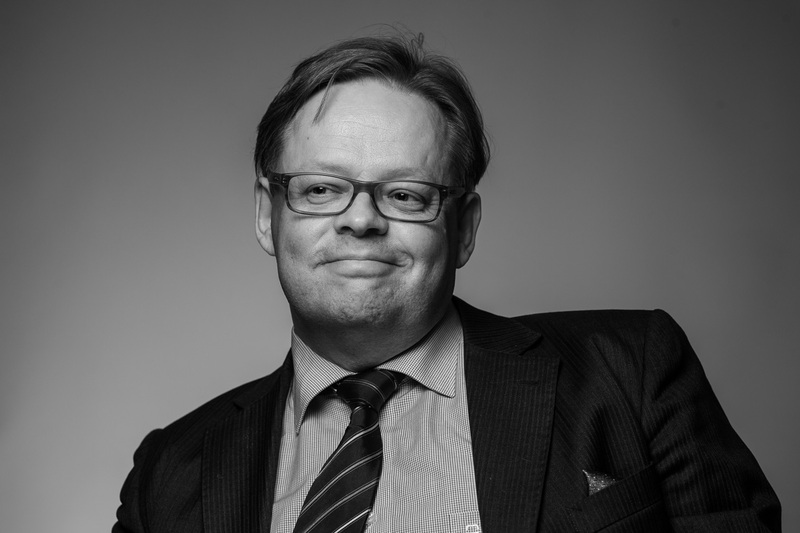 Juhana Vartiainen, Doctor in Social Sciences, is a member of the Finnish Parliament for the National Coalition Party Kokoomus, after working as a researcher in the economic and social field since 1984. He has been Director General of the VATT Institute for Economic Research from 2012 to 2015. He has been an important member of the Social Democratic Party from 1975 to 2015, but he resigned from the party when Alexander Stubb asked him to be a candidate for the conservatives (NCP) for the 2015 parliamentary elections (click here to read his interview during the campaign). He is also publishing an interesting blog (click here to read it) and has authorized Finland politics to use translated versions of his posts. The government proposal of liberalising the opening hours of shops, hair salons and barber shops […] is welcome. This is our time to enhance our economic structures and ultimately improve our productivity and welfare, as long as all the economic players have had the chance to adapt to the change in the standards of both the government and their competitors. From the viewpoint of an economist, this sort of change is definitely for the better. It increases the economic players’ freedom of contracts. The great thing about market economy is that welfare is created through mutual agreements between people. In a society of freedom of contract, mutual agreements are optional. No one needs to agree on a subject they do not want to agree on, and thus only mutually beneficial decisions are made. The liberalisation of shop opening hours therefore gives ordinary consumers and businesses a greater freedom to find each other at the market. If someone wants to buy milk or improve their hairdo in the middle of the night or on a Sunday, and someone else is willing to sell these products and services, then why not. The OECD’s reports on Finland have also drawn attention to the fact that the regulation of retail trade is stricter than in other Nordic countries, which weakens economic performance and, ultimately, human welfare. The regulations on the limits of free exchange usually reassert the status of current marketing leaders while impairing the consumer-friendly competition. Therefore the OECD’s report from 2003 on Finnish regulations is a timely issue still today. It stated quite bluntly that the actual aim of Finland’s restricted opening hours has been to limit competition and to protect the profits of certain merchant categories. The changing working life may also require untraditional working hours for many workers. Therefore it is a good starting point for traders and consumers to enjoy the opportunity to freely organise their relations. It can be seen already from a day-to-day basis that, if given the chance, many families would use a substantially longer time shopping also on Sundays. As the society is becoming increasingly multicultural, there are fewer and fewer religious public holidays that concern everyone. While Christendom celebrates Christmas, why can’t people of other faiths keep their shops open and offer services that would benefit even the people who celebrate Christmas? Political discussions about this type of reform obviously include the topic of the impact on employment. It is impossible to get strict scientific evidence as an answer to this question, since liberalised opening hours bring about a gradual effect, and essentially almost all people change their behaviour. Despite the vast political demand for such “calculations”, the effects of a change in this type of general balance cannot be precisely predicted. The accessible information, however, is almost exclusively positive. In 2009, The Labour Institute for Economic Research published an overview on the impact of the release of retail traders’ opening hours in other countries, and the analyses and surveys often point to an improvement in employment. And why wouldn’t it improve, since almost everyone believes that change will lead to extended opening hours. The representatives of trade at committee hearings were also somewhat sure that extended opening hours would create new work opportunities, also for certain people groups like students, whose lifestyle and situation would be well suited to irregular working hours. As discussed in committee hearings and earlier political discussions, the main argument against the reform has been the fear of “large” chains possibly encroaching on smaller ones. It is, however, difficult to see why the result would be this, and why the change would weaken the status of the consumer. As stated in the overview by the Labour Institute of Economic Research, increasingly more efficient methods exist for directing trades to establish their businesses in appropriate locations, for example through zoning and property tax. There is little evidence of consumers being negatively affected by increasing the freedom in market activity. The benefits of the liberalisation of shop opening hours will be emphasized as long as the government achieves its ongoing goal of the reform of local agreement. The strict orders about double pay for Sunday, unless otherwise specified on the collective agreement, still restrict working on Sundays. When local contractual freedom increases, the liberalisation of shop opening hours becomes more beneficial. He does not provide much backup for his claim that this would not be the case. If all he can come up with is “zoning and property tax plans” I have to conclude that the fear of large chains (S- and K-group) grabbing extra market share is warranted. It is exactly the zoning planning that has seen for example the S-group benefiting and acquiring the best spots for their hypermarkets. It will be interesting to see what Mr. Vartiainen has to say on this development. Also, he does not take into account the impact on current shop workers who have to increasingly work irregular hours, weekend shifts and holidays. At least for these workers and their families, there is no increase in welfare, to the contrary. This does not apply to the workers, as they are scheduled into shifts whether they want or not. Of course, some influence can be had on working times, but generally speaking every worker will have to do his/her fair share of weekend, holiday and evening shifts. Where is the mutually beneficial decision here?